Home / Announcements, Exlcusives, News / Need A Great Gift For Mom This Mother’s Day? Check out RECORD YOUR STORY™ at JAMBOX! Mother’s Day is this Sunday, May 10th! Introducing RECORD YOUR STORY™ – the unique fun and most awesome way to tell and document your story. 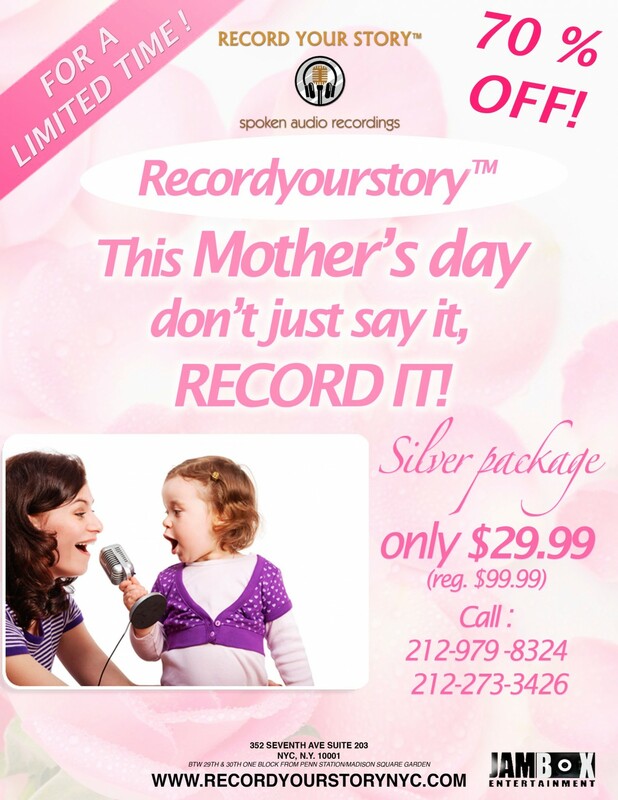 Do a dedication to Mom because she’s so ‘full of awesomeness,’ or bring Mom in to record her own story. Be sure to check our our incredible Mother’s Day sale!!! Save up to 70% just for trying us! Visit www.recordyourstorynyc.com for more info!